A lazy start today. Our niece Emily, her husband Jim and their two boys live in Birmingham and we had arranged for them to come and visit. They arrived about ten, bearing muffins and cakes. So after a tea and cake break we took them for a short trip. First around the Oozells loop then along the main line to the Winson Green junction, around the Soho loop and back to Old Turn junction. Their eldest lad Rory (3) loved it. He even had a go at steering! We said our goodbyes the headed off towards Wolverhampton. On this occasion we chose the New Line as we wanted to get there for tonight’s mooring. We didn’t pass a single boat all the way, very surprising for a lovely sunny Sunday afternoon. Factory locks were all set against us, but they worked easily and we we soon on the Wolverhampton level of the Old Main line. The section between Coseley tunnel and Deep fields is quite rural. You wouldn’t know that you are in the middle of the West Midlands urban sprawl. The intention was to moor at the top lock, but it was very noisy with traffic and trains. 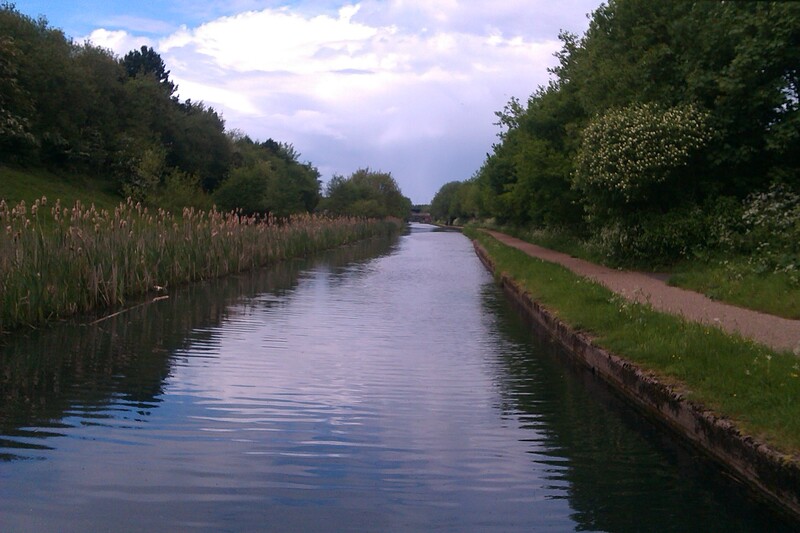 So we dropped down two locks and found a better mooring there. After a rest, a glass of wine and a shower we could tell something wasn’t right. We were beginning to list. The level had dropped about 5 inches in an hour. I checked the next lock down. It was leaking badly. By the morning we could be grounded. So we untied and moved down 4 more locks to find somewhere that had plenty of water and enough space.